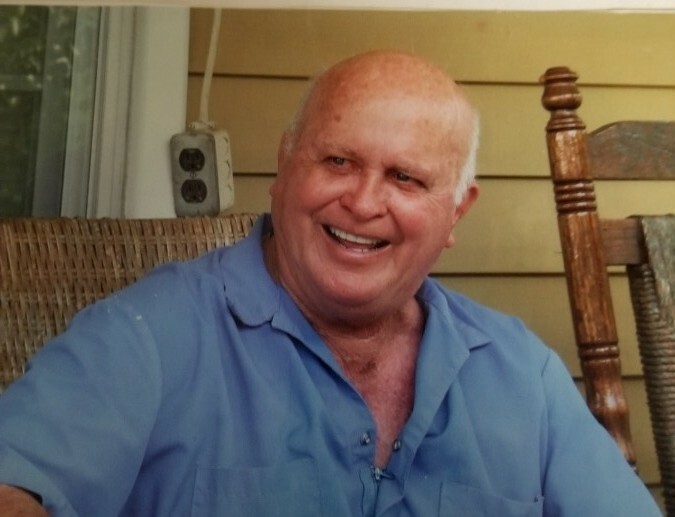 William Lee Thomas, 91, of Phenix City, AL passed away Monday, September 10, 2018 in the comfort of his home. Funeral services will be held 1:00 pm EST on Thursday, September 13, 2018 at Vance Memorial Chapel (Vance-Brooks Funeral Home) in Phenix City with Pastor Ricky Ward officiating. Interment will follow at Lakeview Memory Gardens. The family will receive friends Wednesday evening from 5:00 to 7:00 pm EST at the funeral home. Mr. Thomas was born July 10, 1927 in Carroll County, GA to the late Robert Morris Thomas and Tessie Hewitt Thomas. He was a member of the Wilson Williams Masonic Lodge 351. He enjoyed fishing, and hunting and especially bird hunting. He loved gardening and took great pride in growing tomatoes. He was a man of faith and was a member of Grace Free Will Baptist Church in Phenix City. Other than his parents, he was preceded in death by his wife of 64 years, Jewell Puckett Thomas, daughter, Judy Thomas, and three sisters, Magdalene Tuggle, Joyce Norton, and Rachel Cole. He is survived by his twin daughters and their husbands, Sandra Exum and husband Tommy of Southport, FL, and Susan Davis and husband Keith of Phenix City, two sisters, Mattie Hutcheson of Bremen, GA, and Autry Brock and husband Gene of Summerville, GA, one brother, Robert Thomas of Dallas, GA, (4) grandchildren, Lee Exum, Lauri Davis Liptrot (Elliott), Jennifer Davis, and Lindsey Harrison (Ira), (13) great grandchildren, (1) great great grandchild, and a host of nieces, nephews, extended family, church family, and many friends.